The white Christ candle stands in the center of the Advent wreath. It represents Christ as the center of our worship and the center of our lives. Today we reflect on the four candles and their meaning. 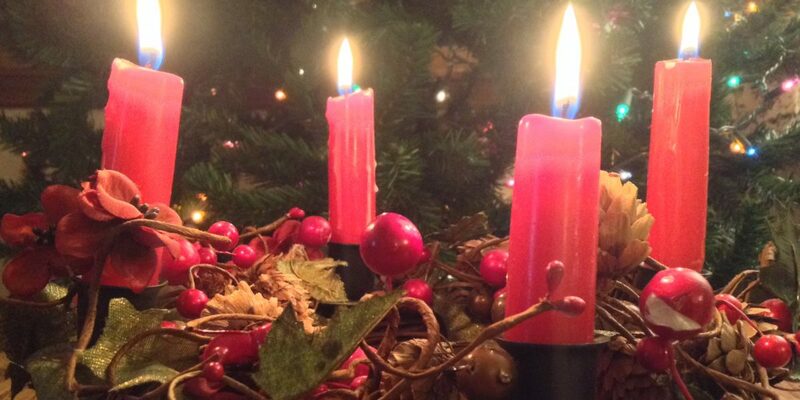 We recognize that without Christ none of the aspects of Advent would be possible. Together: Christ is our hope. Christ prepare our hearts. Christ is our joy. Christ is love.